From flat hunting to making an offer, packing and then arranging for a man and a van – moving can be a real pain in a busy city like London. 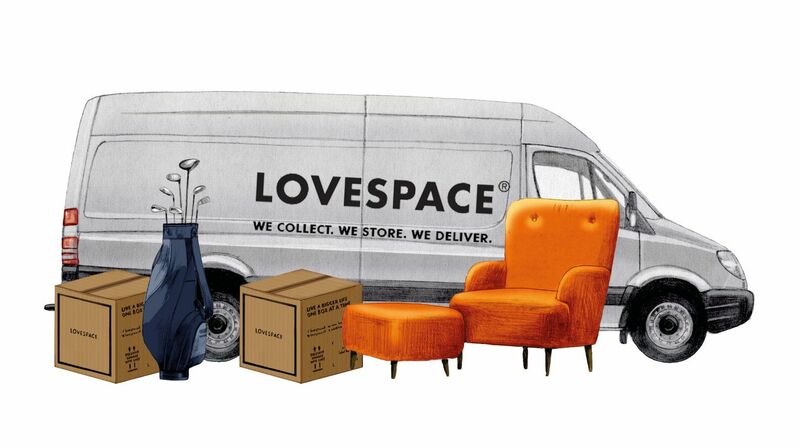 We know that getting everything you own from one place to another can be one of the most stressful parts about moving. Instead of being swamped by cardboard boxes, use our five top tips to make moving day stress-free. There’s always far more to do than even the most organised person can imagine, so start packing several weeks before your move. This will not only help you to avoid a mad rush for bubble wrap on moving day; it will also provide a good opportunity for a purge. Will you really ever use that bubblegum bath set your that niece gave you for your birthday? Don’t be a hoarder. When you start to pack, have a think about the things you’ll need as soon as you move in. While plates and cups are must-have items, will you really use the snowboard or your entire Game of Thrones book collection while you’re settling in to your new home? These non-essential things can go into boxes early, or even better go into storage. 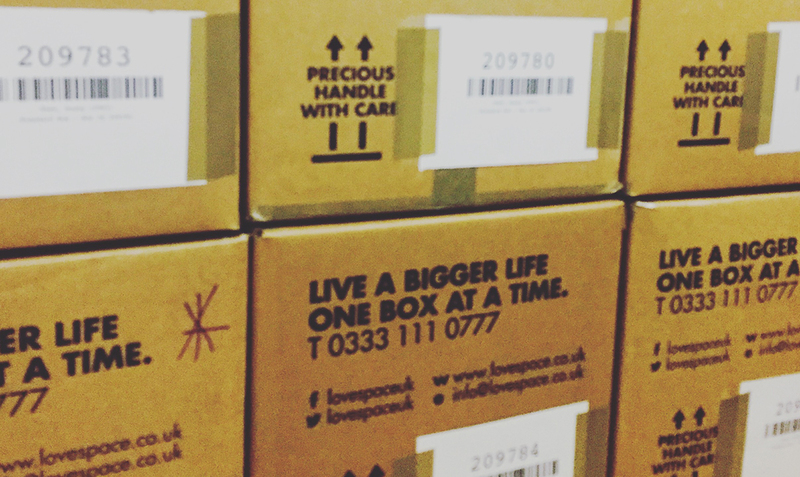 LOVESPACE offers storage-by-the-box with free collection and return delivery to any UK address from just £1.95 per box per month. Especially useful if you’re moving out of one home and won’t move into your new place for a little while. Managing fewer boxes when moving in will not only save on stress levels but also give you breathing space to arrange furniture where you want it, and complete any minor DIY tasks that need handling in your new home. Lists and labels – either done by hand or kept on your phone – can be super helpful when trying to keep track of all your stuff during the move. Grab a permanent marker to label boxes – not just ‘kitchen’, ‘bedroom’ but more specific: for example ‘cleaning products for kitchen’ and ‘winter jackets’. There are some great apps for to-do lists, like Wunderlist, which you can even share with partners and housemates. 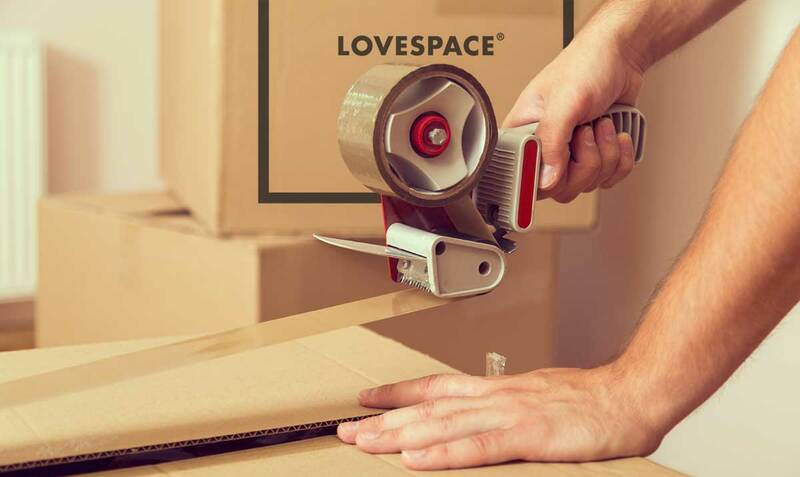 If you are moving soon, LOVESPACE can help! We will collect boxes or furniture from your current address, store them for as long as you like, and then deliver them to your new flat or house whenever you want them. On moving day, make sure all boxes are sealed, labelled and ready to go. Our driver will then collect them and safely transport everything to our storage facility, where we’ll look after them until you choose to have them delivered to your new home! Ta-daa! And the job is done! Click here for an instant storage quote or for packing materials like boxes, tape and bubble wrap. When you move, a whole bunch of services are likely to need your attention, including council tax, insurance, broadband, gas and electricity. And let’s face it, nobody likes dealing with those chores! That’s why we’ve partnered with JUST MOVE IN – the move-in concierge service. They’ll save you up to 8 hours of your precious time by sorting out lots of that tedious admin for you – and the best thing is that the service is FREE when you use the link below! Get more info on our removals service here. Like this article? Share it with your friends to help them to Live A Bigger Life. Be the first to hear about our latest offers and storage tips! 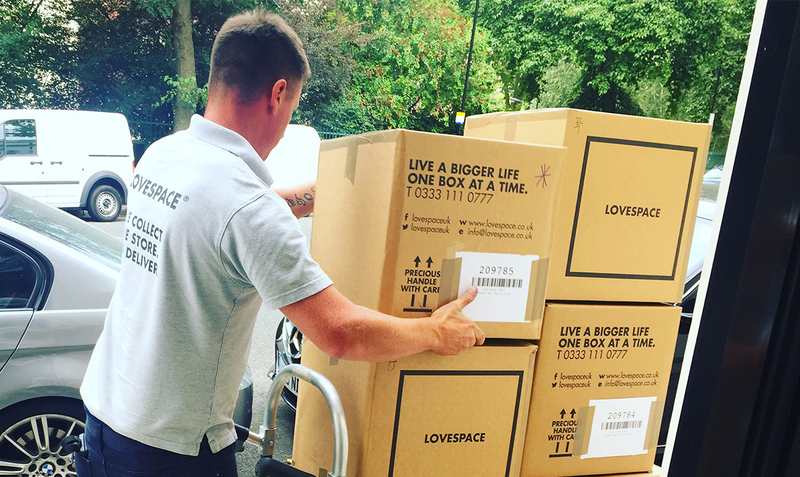 LOVESPACE is the UK’s first storage by the box service, offering collection and delivery nationwide. We're the award-winning, convenient and cheap alternative to self storage.